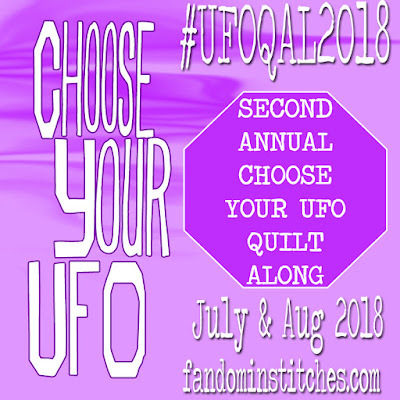 Pull out those UFOs and join us for the Choose Your UFO Quilt Along! (#UFOQAL2017). Do you have a pile of blocks but no idea how you to turn them into a quilt top? Right here on Fandom in Stitches, we have our very own Quilt Layout Archive where you'll find all of our available quilt layouts in one handy place, including how many blocks and what sizes you'll needed for each project. All of our events include finishing instructions to complete your quilt, but there is nothing that says you can't use the Disney Princess Castle to make a Fantastic Beasts Quilt! How about using a Minions layout for an Up-themed quilt? Do you want to make your blocks a different size? We have a tutorial for that! Have you used one of our layouts to create a different quilt from the original project? We'd love to hear about it! Even better, we'd love to see a photo! Reply to our weekly Facebook post for a chance to win a fun fabric prize! 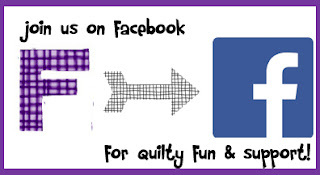 Join us on Facebook for quilty fun & support! Don't want to play but want to cheer us on? You're welcome, too!